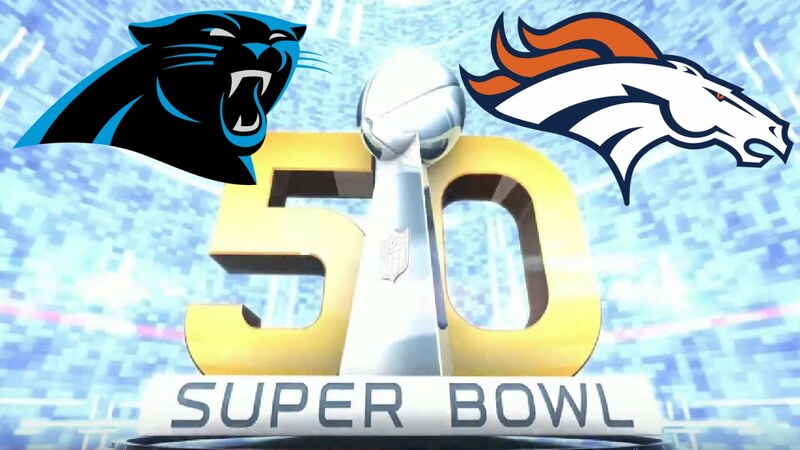 In case you live under a rock, there's a "big football game" this Sunday (it's called the Super Bowl but the NFL is a huge baby and has trademarked that crap...and they hunt down people who use it without their permission...anywho) between the Carolina Panthers and the Denver Broncos. I've also heard it humorously referred to as the "black cats" and the "ghost horses". HAHAHA. 1. They have been underdogs and faced adversity all season. 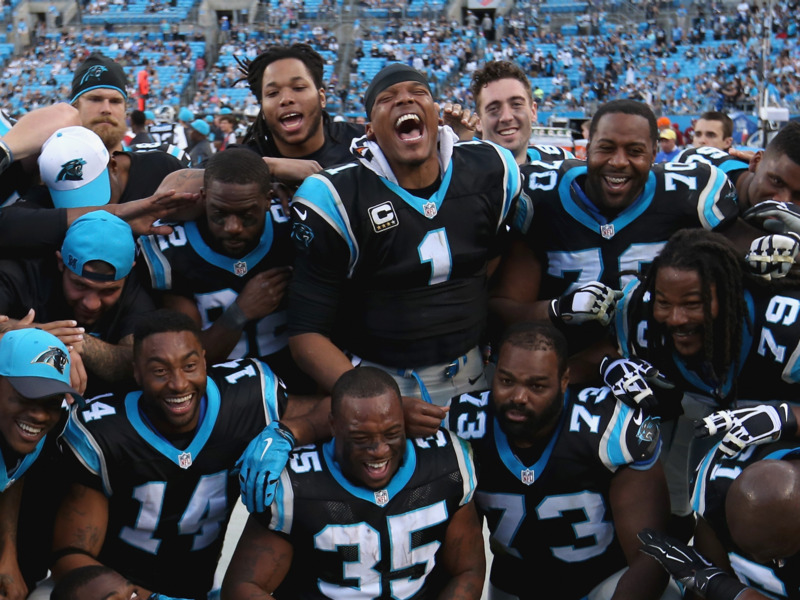 No team seems to have been underestimated and under appreciated all season than the Panthers. They are rarely picked to win and when they do win it's because the other team had injuries or bad tablets or bad coaching. Because of this, they play with a chip on their shoulders. Last year the head coach's house caught on fire and burned, our starting quarterback broke his back in a car accident and their number 1 wide receiver was injured in a pre-season practice that sidelined him for the entire season. I mean, c'mon! 2. They have never won a Super Bowl. Peyton Manning (Denver QB) has already won a Super Bowl and the Broncos as a franchise have won 2 Super Bowls. The Panthers made 1 appearance in their 20 years of existence and lost. 3. They are an incredibly exciting and fun team to watch. 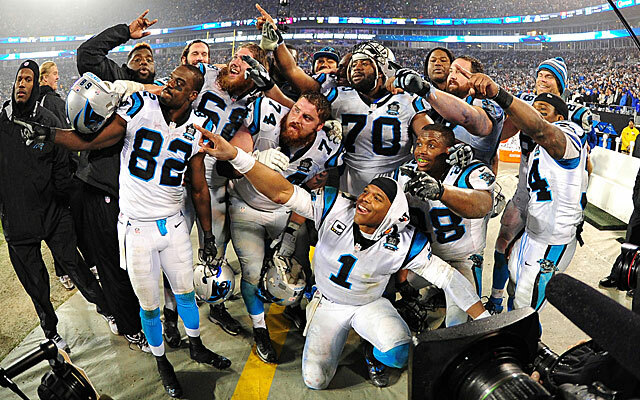 From touchdown celebrations, to overall game excitement, the Panthers are fun to watch and they have fun playing the game! 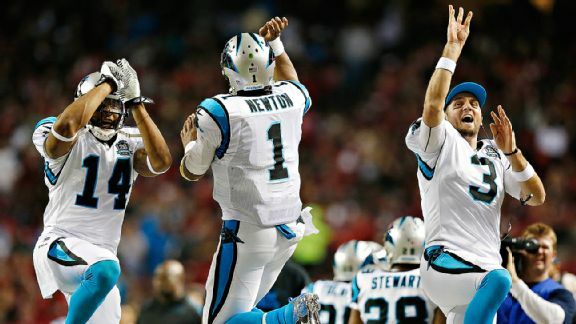 The QB Cam Newton hands touchdown balls to kids in the stands EVERY. TIME. He even will go as far as to run and track down the ball to give it to a kid. Even when other team's players are jerks about it. 5. Because Blue and Black are prettier than Blue and Orange. So, if you're looking for a team to root for on Sunday, how about you throw some good vibes towards the Panthers?! Oh my! I feel like cheering! Watching it live is an amazing experience. There's always a reason to cheer somebody. My favorite sport and my favorite team.